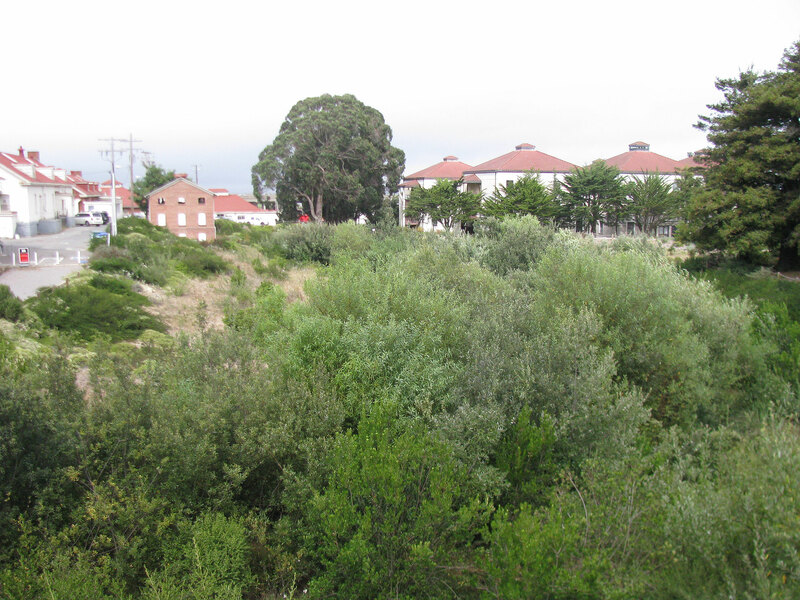 Tennessee Hollow, a creek running from El Polin Spring to the Bay at Crissy Field, was submerged by military debris for over 100 years. 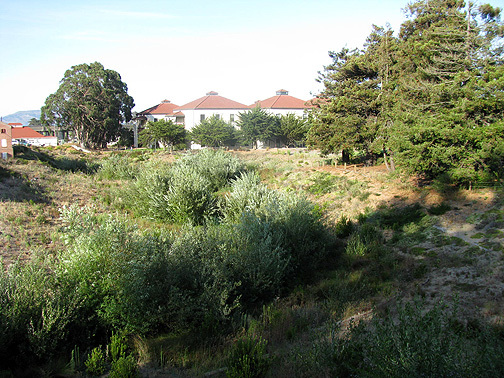 In October 2005, it had been cleared and readied for native plant restoration. After three years, the willows along the creek are flourishing, as are many other plant and animals species along the restored riparian corridor. This photo taken in September 2008. The most dramatic restoration has taken place at a former landfill site, located off Lincoln Boulevard near Halleck Street on the Main Post. 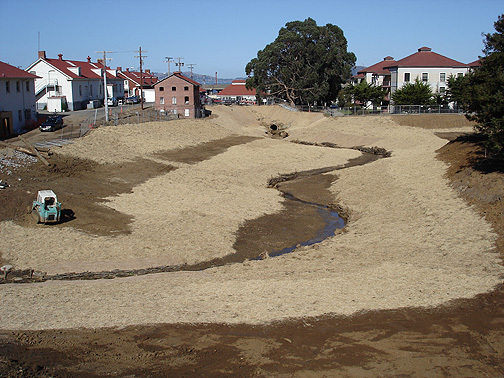 In 2005 as part of the Presidio Trust’s environmental remediation program, 77,000 tons of debris were removed, and a portion of the creek was “daylighted” through the restored valley. 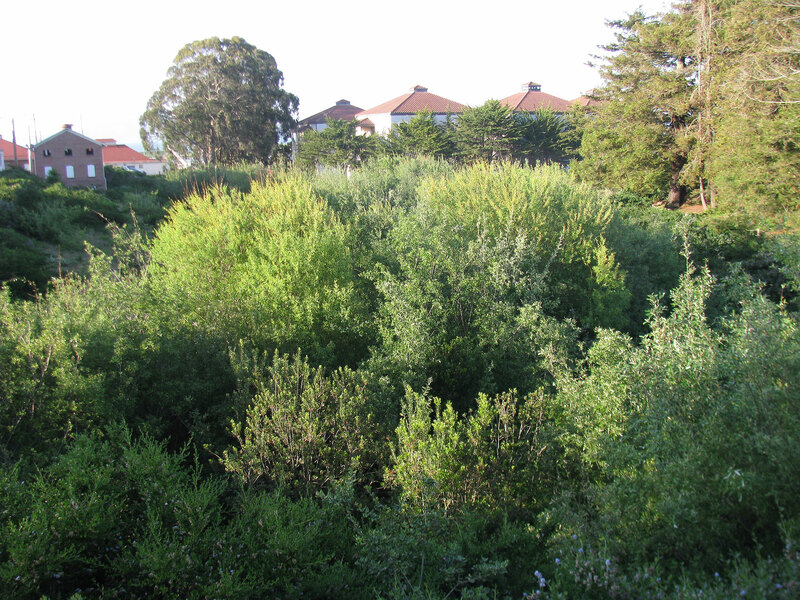 More than 35,000 seedlings from the Presidio Nursery were planted to create wildlife habitat. Same view of Tennessee Hollow, 2011.